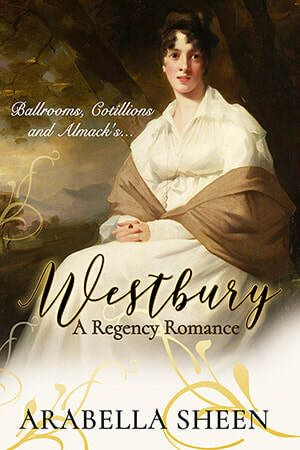 ​Can Miss Georgina Morton surrender her independence and accept the Duke’s love? ​Miss Georgina Morton, at the age of four-and-twenty, with a modest annual income of four hundred pounds, believes she has no need of a husband and can manage quite nicely without one. Yet within a matter of weeks, she’s betrothed to Giles Glentworth, the Sixth Duke of Westbury, and bound for Regency London. Set in rural Wiltshire and elegant, fast-paced London...a runaway ward, a shooting at midnight, and a visit to fashionable Almack’s, are only a few of the adventures Georgina enjoys while falling for the Corinthian charms of the Duke.
. . . and other reputable ebook retailers. Some years ago, Georgina’s parents had hired a house in Claremont Square for the London Season. They had taken her to London with the intention of presenting her to society so that she might find a suitable man to make a match with and marry. Georgina had done all the things a debutante should do. She’d gone to balls, danced the night away, and she’d made lots of new friends. It was whilst paying a morning visit to one of her friends―Clarissa Davenport―that Georgina first encountered “Cousin Giles.” He had been known as the Marquis of Glentworth, and her encounter with him was anything but pleasant. At the time, Georgina hadn’t known who the Marquis of Glentworth was, and it was only later in the season when someone pointed him out as being none other than the next Duke of Westbury, that she discovered his true identity. Having called upon Clarissa to indulge in a delightful tête-à-tête about a ball they attended the night before, Georgina left her friend’s house and was making her way back to Claremont Square on foot when the Marquis of Glentworth almost knocked her down with his phaeton. He was considered London’s most eligible bachelor and thought of by the ladies of the ton as the undisputed dandy of the Season. But that didn’t matter to Georgina. All she remembered about the Marquis was that he was the most arrogant, high-handed man she’d ever met, and he’d behaved atrociously toward her. Whether he’d seen her crossing the road or whether she’d stepped off the curb too quickly was irrelevant. It was the fact that he’d chosen to give her a dressing down in public that riled her. There was no doubt the Marquis veered his horses away to the side of the road with great skill. And his competence in avoiding an accident was excellent. But she felt there was no need for him to have shouted her down in such an ungentlemanly fashion in front of passers-by. He’d been completely and utterly discourteous. His displeasure with her was apparent, and people at the roadside, witnessing their altercation, had been thoroughly entertained by her discomfort. For her it was an excruciatingly painful and embarrassing event. And she’d been disconcertingly mortified. The Marquis was a fine figure of a man. Handsome enough, with a crop of thick, raven-black hair swept back from his brow in the style known as a Brutus. His features, although not rugged, were strong and compelling. And his penetrating eyes, by startling contrast, were of a cool steely grey that was mesmerising. But his good looks and manly attractiveness did not sway her from the fact that his gentleman-like behaviour wasn’t up to scratch or that he was shouting, giving her a dressing down in public. Flustered and on the point of apologising for her hasty action, Georgina remained silent. When she heard his angry words and the tone of voice in which he spoke, she pointedly ignored his outburst and concentrated solely on straightening her lopsided bonnet. But when his horses moved, restlessly shaking their manes for attention, her bonnet, which had by now fallen from her head and dangled by its ribbons down her back, was completely forgotten. Drawing near to where the high-perch phaeton stood, and with total disregard for her safety, she’d gone to the front of the carriage, taken the horses’ bridles in her gloved hands, and tried to calm them. Stroking their forelocks, she’d spoken soothing words before fixing a steely glare of disdain upon their owner. Never before had she been more thankful for all the hours she’d spent in her bedchamber as a young girl, standing in front of the mirror, practising and perfecting the art of delivering the harshest of stares imaginable. Any lesser man than the Marquis would have baulked at her glower, but her unflinching look seemed not to affect him. Georgina was surprised by the incensed and irate reaction of the Marquis. She’d ruffled his feathers. Bravely ignoring his outburst, Georgina began gingerly inspecting the horses, searching for any damage that might have been caused. There was none. But that was of no account. Although the Marquis had skilfully handled his animals as any Corinthian, it was of no consequence to her. Her hackles were raised, and she was on the warpath. Given half the chance, she was ready to accuse him of anything and everything because of the way he made her feel and because of the telling off he’d given her. Georgina thought she detected a hint of tightly control sarcasm about this man, but giving him the benefit of the doubt, she decided she might be wrong. There was such an air of condemnation about him that she doubted he would ever have the inclination or the ability to stoop so low in order that he might indulge himself in something as meaningless and trivial as cynicism. Giles drew off his gloves and tossed them onto the seat beside him. He reached down a hand to help her up, but with a shake of her head, she refused.